Big update to our Geopiq for Instagram app today, including a name change! Geopiq is now Synaptive Streamview for Instagram. Streamview is a suite of apps for Hootsuite that allow you to zoom in and focus on posts that match any criteria you select. Initially, Streamview will include apps for Instagram, Youtube, Twitter and RSS. What’s new in Synaptive Streamview for Instagram? We’ve also added engagement averages and an engagement index to allow you to determine which influencers are likely to give you the best engagement. 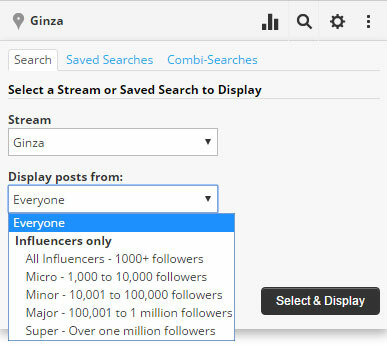 The new Influencer stream allows you to view a stream of Influencers in all of your searches, or, any individual search, including combination searches. 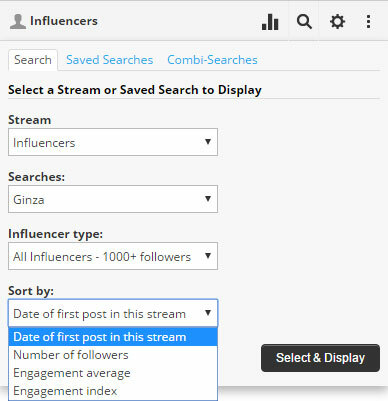 In the Influencer stream, you can filter by Influencer type and sort by number of followers, most recent post, engagement average or engagement index. 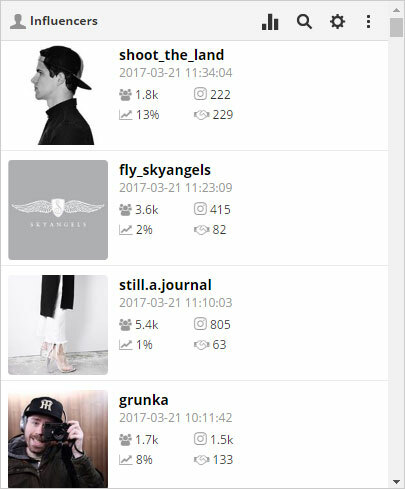 Filtering by most recent post will follow your dashboard’s refresh schedule, giving you a near real time update of Influencers as they appear in your search results. All search charts, Number of Posts and Super/Major/Minor/Micro Influencer charts, can now be filtered with a date range. We’ve added the ability to filter all account charts with a date range. You can also save the data from current the view to a CSV file. There’s a new combination search that allows you to view results from all of your saved searches in one stream. Posts with multiple pictures will display all pictures when you click and view the post in the popup window. Better Emoji support. Emoji are now supported in hashtag searches and when displaying hashtag streams. We’re working hard on the next release that will see a new version of Streamview for enterprises/agencies that includes the ability to add, manage and monitor multiple Instagram accounts. We’re also working on a new “stream view” that allows you to combine results from multiple social network sources. 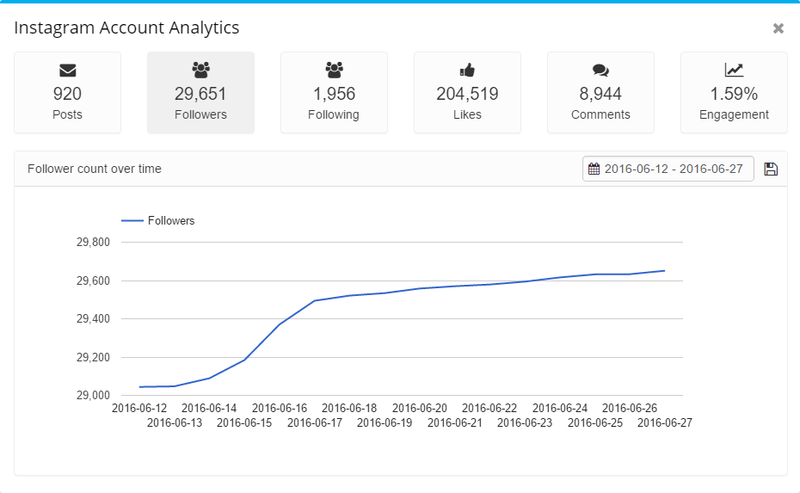 Streamview apps are currently available in the Hootsuite App Directory. Click here to install any of the apps.